Ellen Forney’s Marbles was a form of graphic novel coming out, biographical experiences highlighting what was eventually diagnosed as bipolar disorder, and how she came to terms with that. The subtitle of Brilliant Advice From My Bipolar Life indicates the self-help nature of this follow-up. Having already decided on the project, and having experienced fourteen years without bipolar episodes while on medication, the starting point is clinical advice that lithium, one of the stabilising drugs she takes, should be dropped as always possible side-effects are starting to manifest. 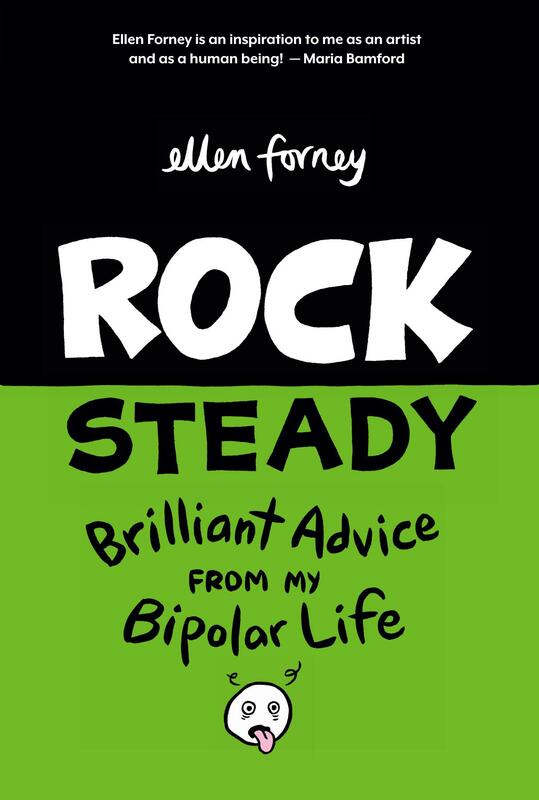 A quick check of Amazon listings reveals many books addressing life with bipolar disorder, but it’s the combination of elements within Rock Steady that surely trumps most. Forney’s personal experiences are more relatable than clinical dissection, and her sharp text and illustration approach compacts the essential information in memorable fashion. Common sense prevails as Forney has nothing to sell beyond this book, so she stresses there is no cure all, and sustaining stability requires commitment. Everything is imparted as clearly as possible. 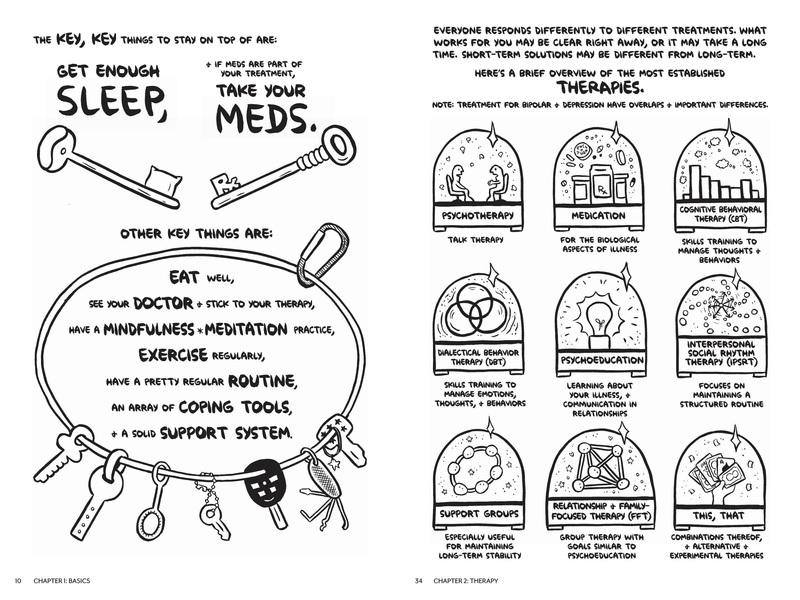 Forney’s understanding of what she’s conveying is absolute, and while some of what’s noted seems just common sense, far more may not occur, and some of the advice, such as the section on medication, offers practical advice to others dependent on prescribed pills. The tone deliberately avoids lecturing. The advice is there, and keeping track of everything may be tiresome, but to anyone who needs it, the implication is that the alternative is worse. 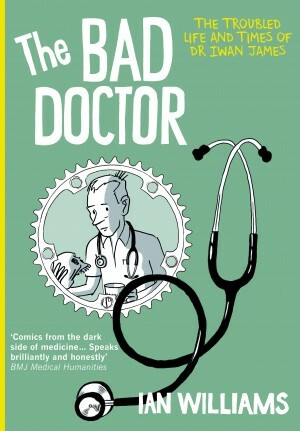 Is this worth picking up if you don’t want further understanding of bipolar disorder? Not really. 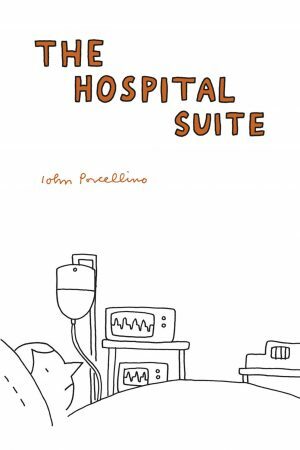 Forney’s cartooning prioritises clarity and while there are some nice stylistic touches, this isn’t the place for an experimental approach, and apart from the opening statement there’s very little in the way of comics, while there’s plenty of cartooning. 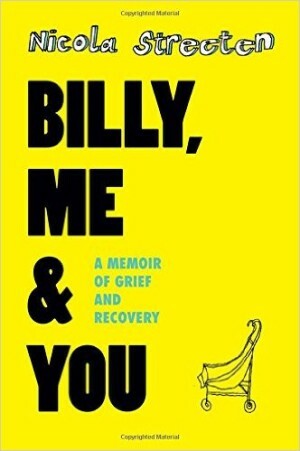 This is advice, instruction and care, not entertainment, and the fullest value will be to anyone either experiencing bipolar symptoms and not yet coping with them, or those close to them, for which it may be a book beyond price.